Wedding rings are a symbol of love and commitment even to men. They are a commemorative jewelry that will remind you of that special happy day. These rings are the only jewelry that most men tend to wear in any occasion. 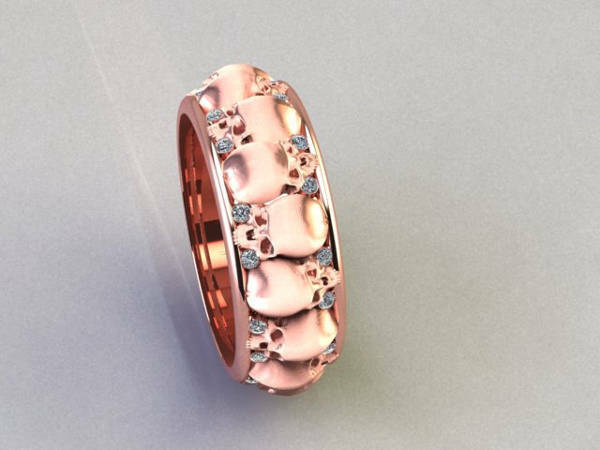 Since you will be wearing your wedding ring forever, it is crucial you get a design that reflects your character and individual style. Consider the following men’s wedding rings and choose that which is comfortable and appropriate for you. There is no rule that says men can’t wear diamond rings! 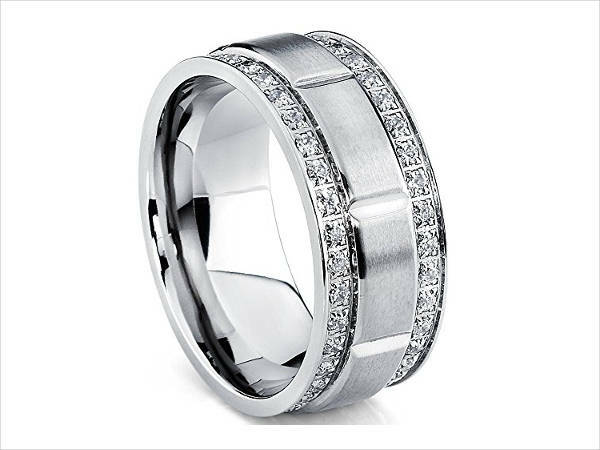 If you have a high budget, then choose men’s diamond wedding rings which are classic and timeless. 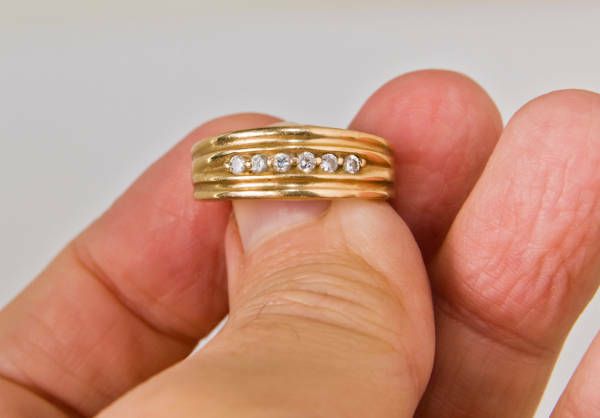 The trick is to add subtle or few diamond pieces to avoid over sparkling. 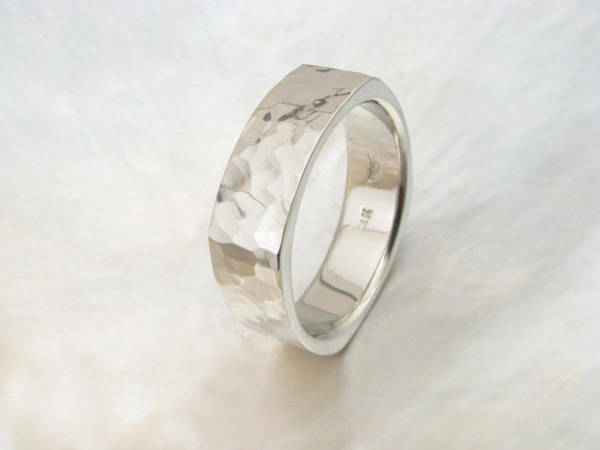 Men’s platinum wedding rings are the rarest and most durable. 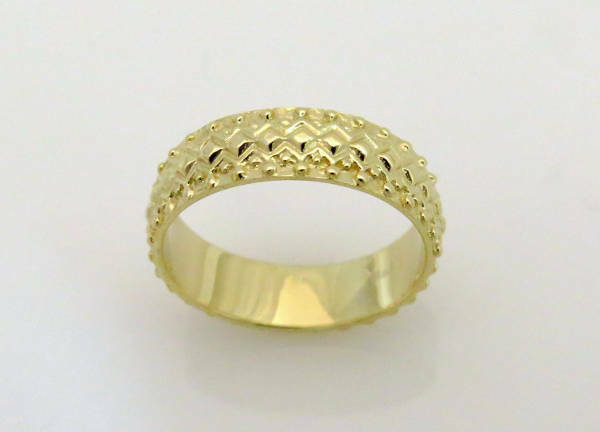 It is hypoallergenic nature will prevent your skin from reacting with the metallic ring. Platinum also has a white sheen which gives the ring incomparable glow which will ensure your wedding ring remains unique. 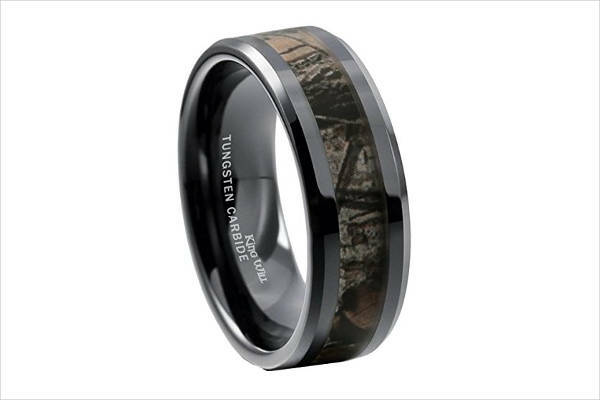 Almost all men love outdoor activities as they help show their masculine traits and that’s why camo wedding rings for men are a favorite to many. Suitable for guys who love hunting, you can choose from those with animal tracks to jungle green and nature patterns. 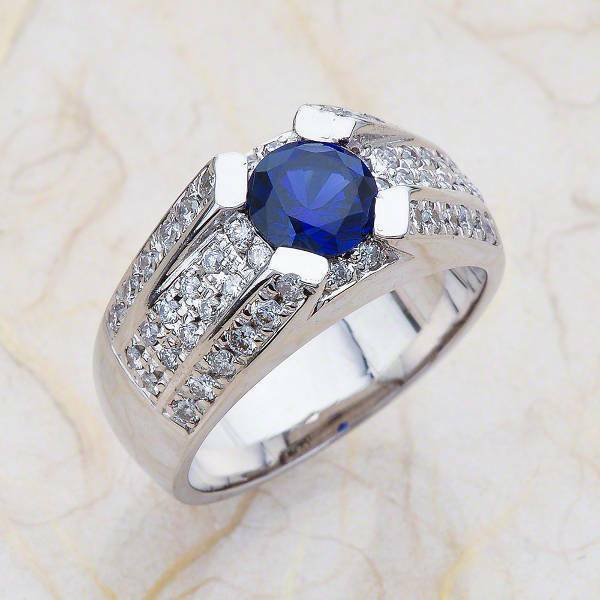 Sapphire has a blue color which is often associated with boys making it the ideal gemstone color for men’s wedding rings. This stone is a symbol of sacred traits which will show how serious you take your marital status. 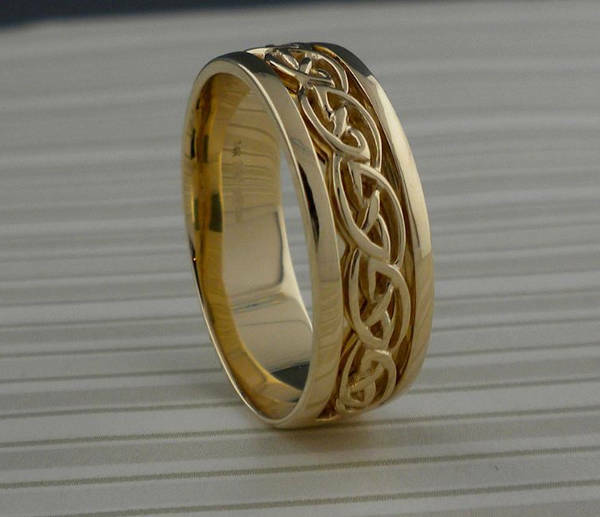 If you want a wedding ring with a deep symbolic meaning, then men’s Celtic wedding rings are for you. The intricate knot work in the ring will help your hand to stand out while wearing this ring will symbolize good fortune and showcase wisdom. Men’s silver wedding rings are affordable, easy to spot on your finger and will complement both your office and casual outfits. Since silver is the most common precious metal, you will easily find it in any jewelry stall. 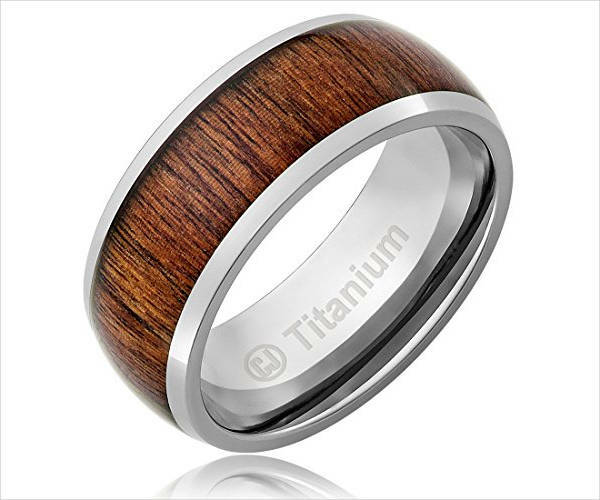 If you prefer men’s wedding rings made from organic material then opt for designs made with wood. These rings are also affordable, comfortable and will not react with your skin. They are eco-friendly, have a symmetrical style and finish that will look good on any skin tone. Vintage men’s wedding rings are for individuals who want a design that is already part of a rich history yet still unique and timeless. 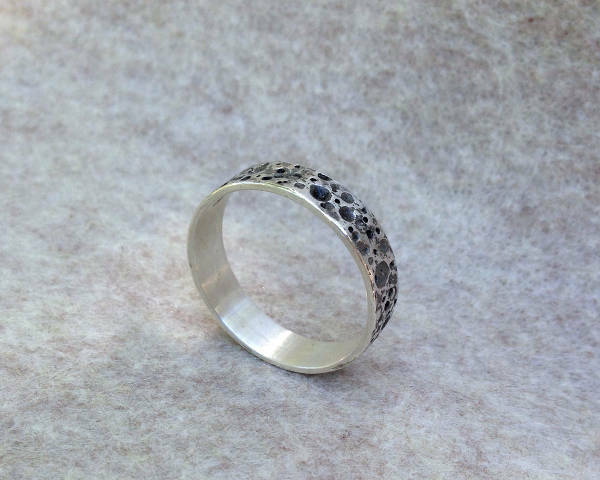 You can get your vintage ring with a high polish or matte finish for men who want a less reflective ring. 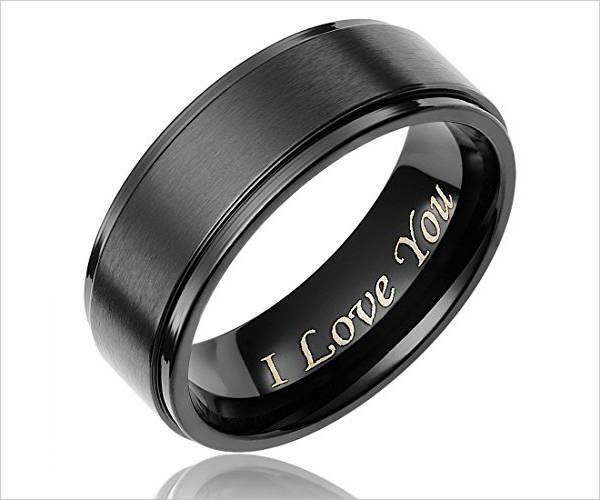 Black wedding rings for men are suitable for guys who prefer less subtle ring designs. The black color will complement every outfit you wear and still show your marital status. The hue will also complement any gemstone color. If you want to make your ring more eye-catching, then go for those in a square design. 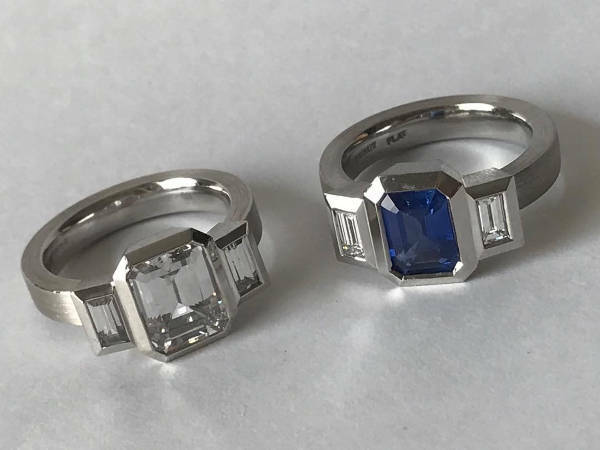 You can incorporate your birthstone and opt for it to be customized in a square shape. That way you give your wedding ring a personal attachment. While it can be easier for a guy to choose the perfect engagement ring for proposing, when it comes to picking his wedding ring the whole process can be a little intimidating. Factors like your lifestyle, personality, and skin reactions are crucial. 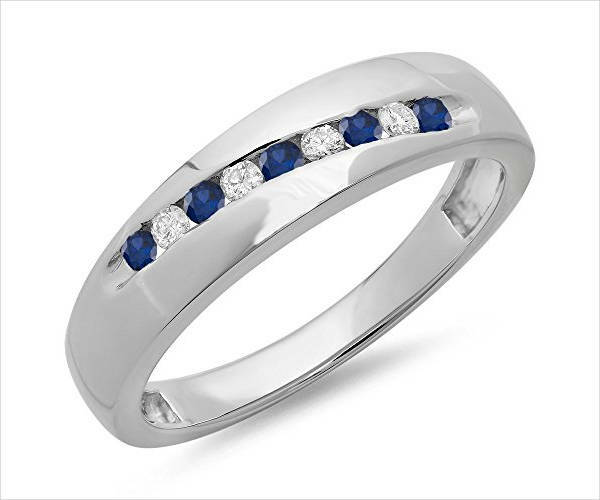 However, knowing different ring designs will also help you pick your ideal men’s wedding ring.